It’s almost a truism — or at least, a useful hypocrisy that most business owners and managers claim to be concerned with employee engagement. Now at least, they really want in on it. Methods for increasing employee engagement vary. Some of the most common include from wellness and nutrition programs, personal finance glasses, and the much parodied outward-bound retreats –complete with trust falls. A recent study by Virgin Pulse outlines why and how business owners and execs plan to engage employees this year. Employee engagement is believed by a vast majority of execs and managers to help retention, attract talent, and improve employee health and well-being. This means lower financial and human costs for most enterprises. Poor health, high stress, and lack of sleep are cited by 9/10 HR professionals surveyed as factors that negatively impact health and well-being. The budgets for these programs are increasing across the board. Google pioneered many of these concepts — but their retention is still nothing short of abysmal. 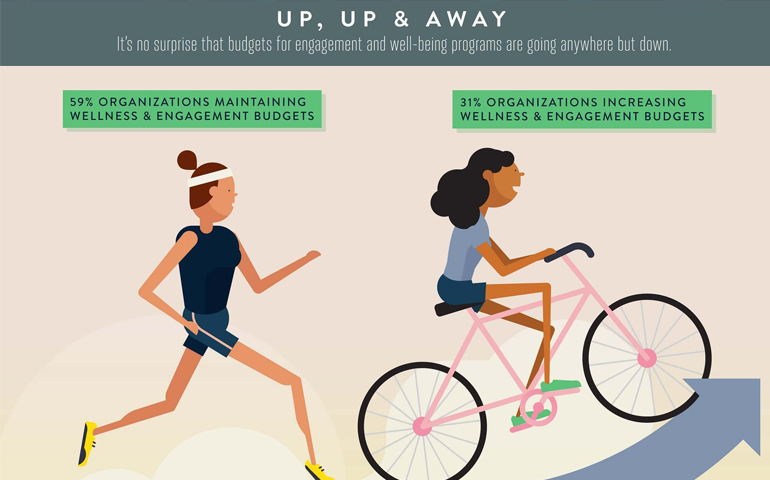 Wellness and financial education programs won’t likely solve any bigger underlying problems. A better understanding of mental health issues is help to drive these programs. Cutthroat competition in a global workforce market is also pushing managers and business owners to try these programs out for size.